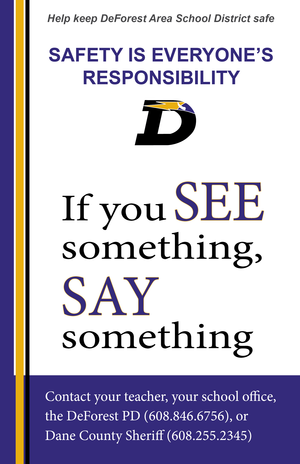 Presented by DASD superintendent and DeForest Police Department on Monday, Sept. 18, 2017. The DeForest Area School District extends a warm welcome to parents/guardians and others who visit our schools. At the same time, we must assure that our students and staff are safe and learning is not disrupted. Schools must be aware of who is in the building and why they are there. Therefore, we have developed the following guidelines for school visitors. We appreciate your cooperation and support.